Greetings to the readers! What a perfect day for a celebration! Today marks the birth day of a very special friend who transitioned to the spirit realm some time ago. 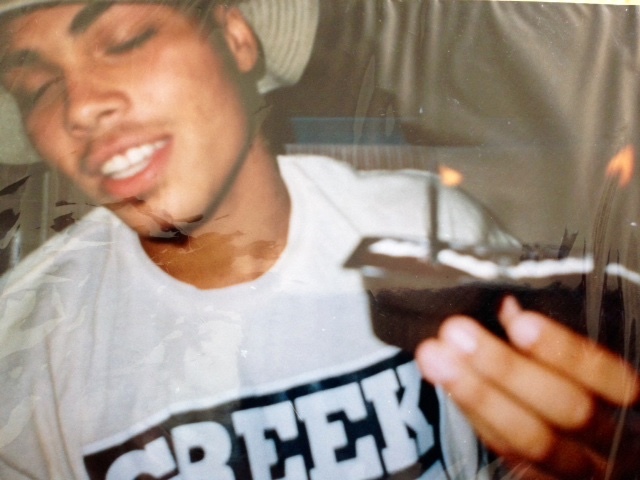 My friend would have been 37 years old today and I’m sure that if he were still here, there would be a party somewhere to remind all tribal members that this is the day that Jason was born. On April 28, 2012, there was a horrific accident that occurred here on the Shinnecock Indian Reservation that took the lives of two of our Warriors. Although this accident left many of our tribal members with a dark void, there are some who have made the choice to celebrate the lives and the potential of the two young men. As I think back on that day, I too remember feeling betrayed but not really sure by what or whom. I think that often times death or the things we don’t understand has a way of making us feel as though we have no control when we are confronted with situations such as this. The truth is that we have more control than we even know or think we do when we are confronted by adverse circumstances in our lives. When I think about the personality of the two young men, I smile because I think of all of the good times had as a community. I am reminded as well that even during the darkest and during the hardest of times, I am very blessed to be a part of a community that instinctively pulls together to grieve and comfort one another. I see as well that we come together to celebrate the accomplishments that we as individuals make because we are all one. The poem that I have written entitled “left undone” was my way of gaining control of a situation that I had absolutely no control over. This is a poem that was written after the accident and after reading it, I thought to myself that although I didn’t see it then, I certainly employed a level of control by channeling negative energy in a positive way. I realized that this was a choice that I was able to make and must choose to make every time I am confronted by situations where it feels like control is limited. If one takes gasoline for example, we can see that gasoline can be channeled or used to give power to an automobile. Gasoline can also be used to cause destruction. Gasoline may just sit sedentary and never be used to do anything. Regardless of how it is used, the potential of gasoline doesn’t change. Gone from this world but not from me because comfort in your memory I always find.